Is Microsoft Working On A Social Network? Is Microsoft working on their own social network? A webpage was published on Thursday by Microsoft for a social network called “Tulalip.” The page appeared on a domain called Socl.com, but was then quickly taken down. Following the publication of the page, Microsoft issued a statement stating “Socl.com is an internal design project from a team in Microsoft Research which was mistakenly published to the web. We didn’t mean to, honest,” according to BGR. 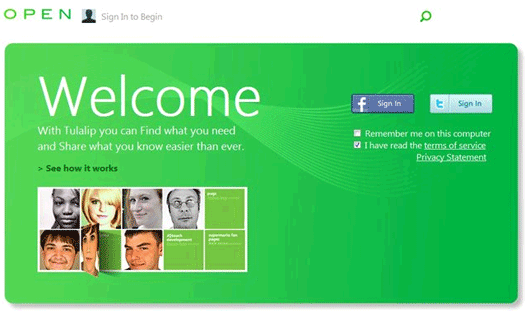 Also noted was the similarities between the social network and the new interface found in Windows 8 and Windows Phone. What do you think? Is Microsoft working on launching their own social network in order to respond to the likes of Facebook and Google+? My guess would be “no”, since Microsoft is already a share holder in Facebook. Why would Microsoft be working on something that could divert attention away from a social network where they are already heavily invested?